Quilts are traditionally made to preserve a story told by each piece of fabric sewn to form it. 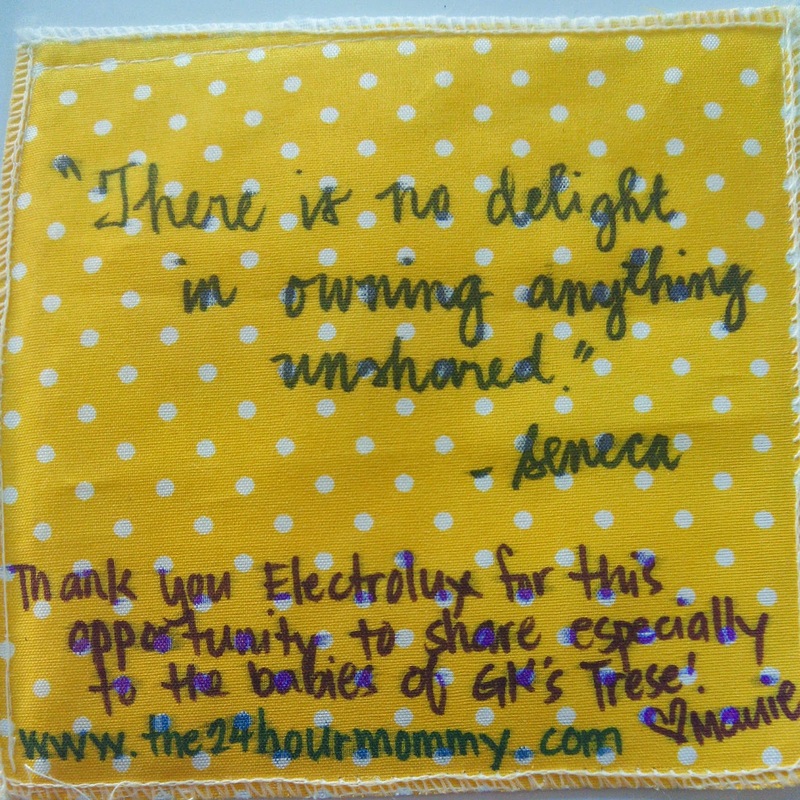 In Delightful-E Simple to Share, these quilts will document a story of underprivileged moms helping newborns in need. 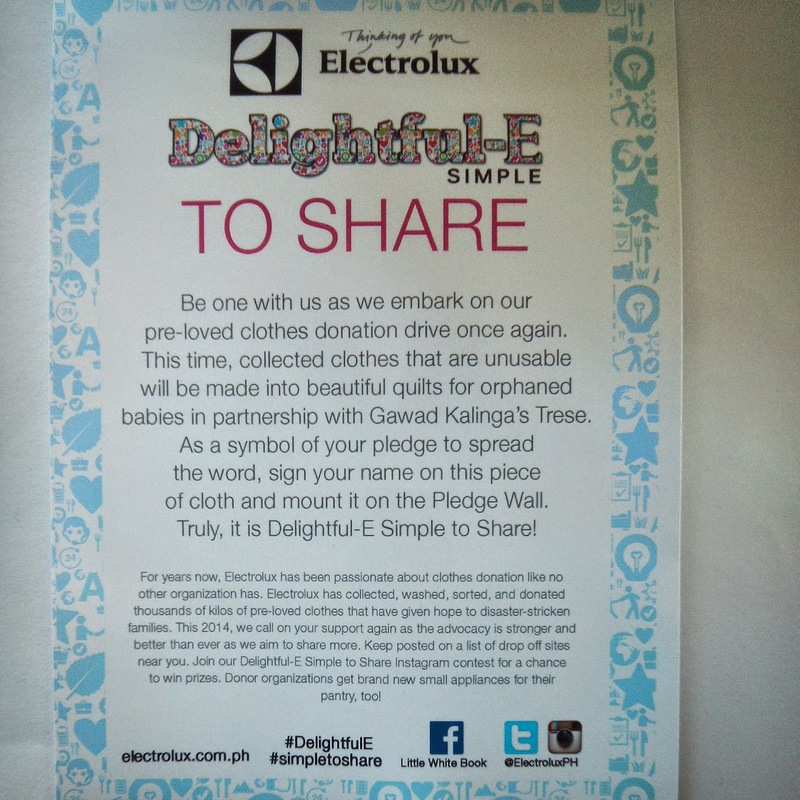 This new twist to Electrolux’s advocacy aims to show that sharing goes beyond donating clothes. As we quickly approach the season of giving, Electrolux challenges you to give a bit more of yourself to those in need. Share a special piece of clothing that is close to your heart. Join the Simple to Share Instagram and Twitter Contest for a chance to win one of the four twin tub washing machines from Electrolux and Breeze laundry detergent gift packs. Tell us why it’s special to you and why you wish to donate it, and use the hashtags #DelightfulE and #SimpleToShare and tag @ElectroluxPH.